Most suppliers have planograms and displays they would like to place in your store. We'll help you pick the ones that will driver sales for your company. We gladly consult for our supplier to find ways to grow their sales, improve their product, improve their displays and planogram and much more. Both formal and informal education is available. From classes of 100s to as few as 1 person, we are here to add to your product knowledge and sales skills. 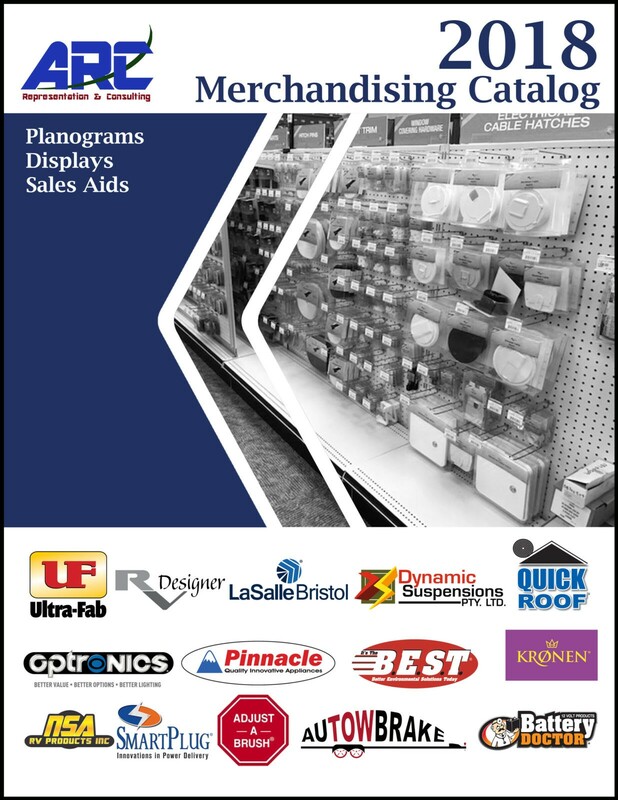 We publish this catalog to make sure you are aware of all the ways we can help you improve your showroom. From simple signage to high-end kiosk, just ask us and we'll help get these in your store. 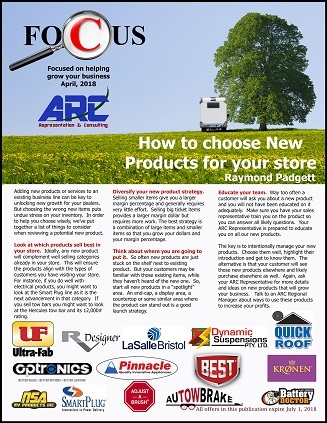 Our Focus Flyers are the best publication around for helping you to make better dealers and higher margins. Check out each edition (quarterly) for great deals and some education as well. Have any questions or need and ARC person to contact you, just email us.